As someone who follows Finland very closely, I must register complete bafflement at this Peter Goodman piece in the New York Times about the coming end of the Finland Basic Income experiment. The piece is titled “Finland Has Second Thoughts About Giving Free Money to Jobless People” and argues that the regular end of Finland’s 2-year basic income experiment indicates some kind of shift in Finnish sentiment about providing income benefits to jobless people. But no such shift has occurred at any level, not in the government and not in the public. But the Finnish government’s decision to halt the experiment at the end of 2018 highlights a challenge to basic income’s very conception. Many people in Finland — and in other lands — chafe at the idea of handing out cash without requiring that people work. This may be the main reason that basic income has lost momentum in Finland: It is effectively redundant. Health care is furnished by the state. University education is free. Jobless people draw generous unemployment benefits and have access to some of the most effective training programs on earth. So do the Finnish people have second thoughts about giving money to jobless people or not? Has the Finnish public soured on basic incomes or does Finland’s basic unemployment allowance alongside the rest of its welfare state (housing allowance, basic social assistance, health care), all of which has widespread support, already provide such an income? Goodman’s article also discusses the decision by the current right-wing government of Finland to apply activation requirements to the country’s basic unemployment allowance. Under the activation scheme, those that do not do specifically established activation tasks see their benefit levels cut. Finland’s new basic unemployment allowance with activation requirements is similar in nature to the Job Guarantee proposal now floating around in the US. But Goodman makes no mention of how the Finnish public actually responded to this right-wing unemployment benefit reform. He doesn’t mention public opinion polling showing that Finns oppose the idea 56 percent to 36 percent. He does not mention that a citizen’s initiative received the 50,000 signatures required to force legislators to reconsider the plan in eight days and eventually gathered 140,000 signatures (in a country of 5.5 million people). And he makes no mention of the massive strike of 200,000 union members (in a country with around 2 million employees) over the proposed changes. Simply speaking, every possible indicator says these reforms have been quite unpopular. As for the basic income experiment itself, it is worth emphasizing again that it is ending exactly when the government said it was going to end when they launched it. The government is not going to do more experiments, but it never said it was going to do more experiments. As Antti Jauhiainen, Joona-Hermanni Mäkinen, and I wrote when the proposal was launched, Finland’s UBI experiment was never set up to be much more than a publicly stunt (Jauhiainen and Mäkinen specifically said as much in a later piece in the New York Times). The sample size was too small, it was only targeted at the unemployed, and the goal was explicitly to see if the unemployed would take up work if a “welfare trap” (in this case basic unemployment allowance) was removed. The latter point is perhaps the crucial one for understanding just how far Goodman’s piece has gone off the rails. The way the UBI experiment in Finland worked was they took people who were already on basic unemployment allowance (or labor market subsidy) and then gave them a UBI amount that was identical to what they were already receiving from those programs. The difference was not really an infusion of money. It was a promise that for the next two years, they could take up work without losing their unemployment benefits. So the plan did not give any new free money to jobless people as those jobless people were already getting that “free money.” And the reason the rules surrounding the free money changed for the experiment was to see if it would make them stop being jobless. What this all means is that both the UBI “experiment” and the very unpopular activation requirements were implemented by Finland’s right-wing government for the exact same reason, which was to try to nudge jobless people into work. 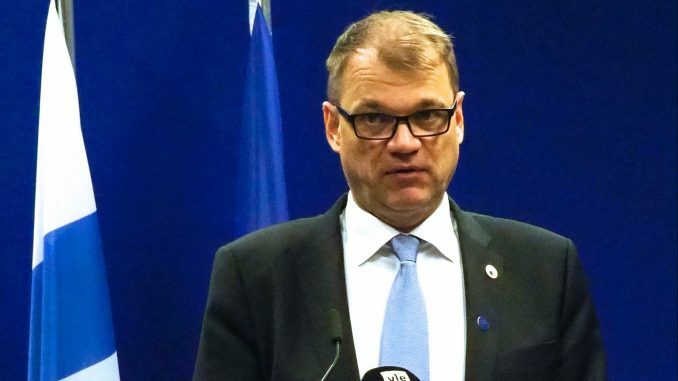 There was never any change on this front: the right-wing government has been trying to promote employment the whole time as part of Prime Minister Juha Sipilä’s goal of bringing the Finnish employment rate up to 72 percent by next year.